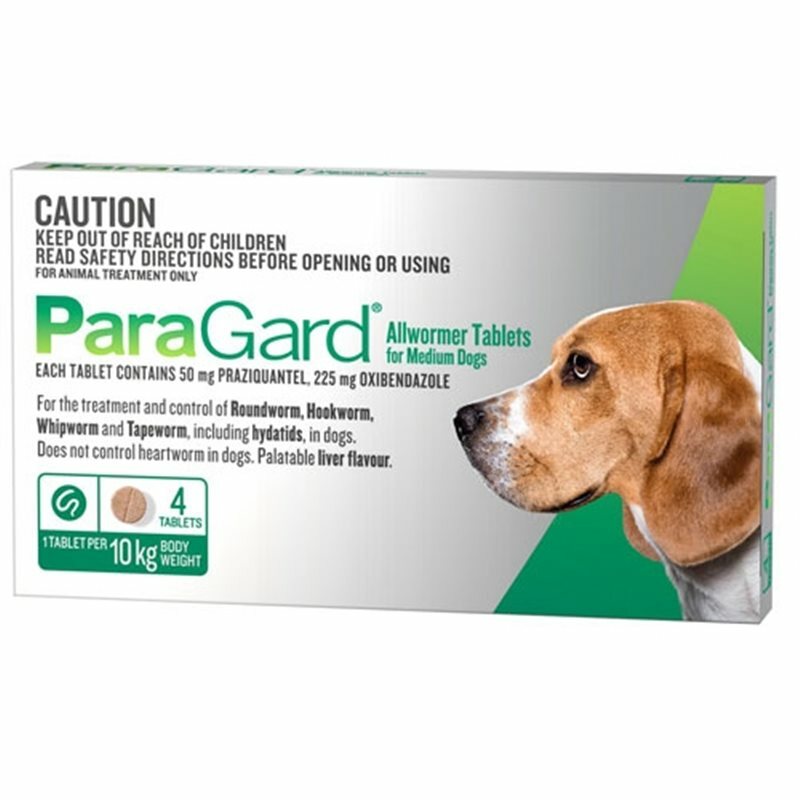 ParaGard Allwormer Tablets for Medium Dogs (up to 10kg) are for the treatment and control of Roundworm, Hookworm, Whipworm and Tapeworm. 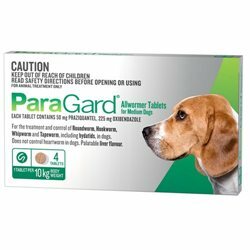 ParaGard Allwormer Tablets for Medium Dogs (up to 10kg) are for the treatment and control of Roundworm, Hookworm, Whipworm and Tapeworm. Also treats hydatids in dogs. Does NOT control heartworm in dogs. 1 tablet per 10kg body weight. I have 2 Spoodles that have sensitive stomachs. 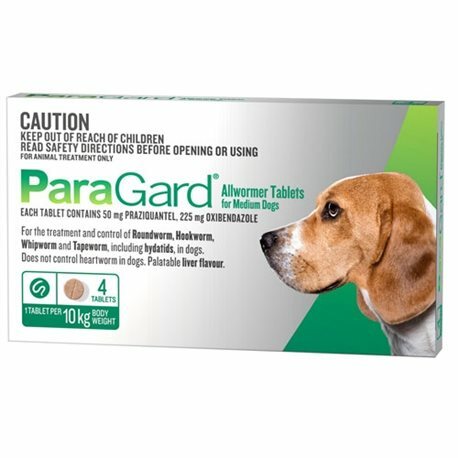 Having tried several wormers, I have finally found Paragard, which my dogs are able to have without bringing it back up ! Easy to administer tablets required every 3 months.